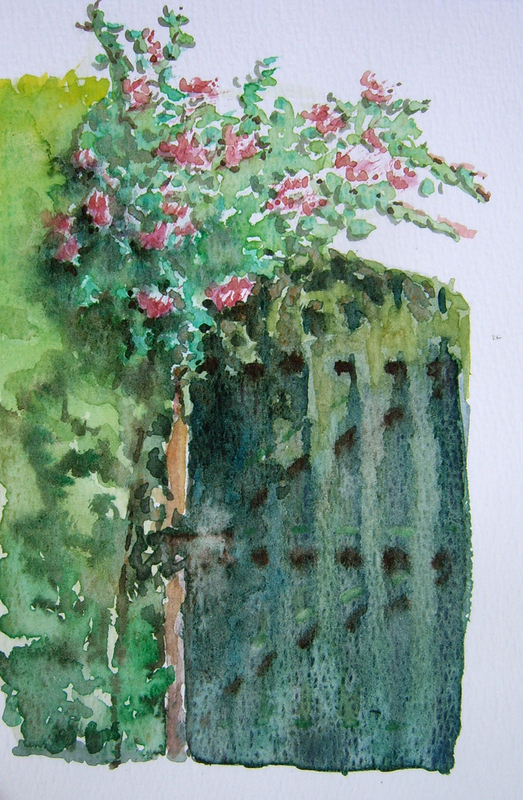 ... to paint 'plein air'. 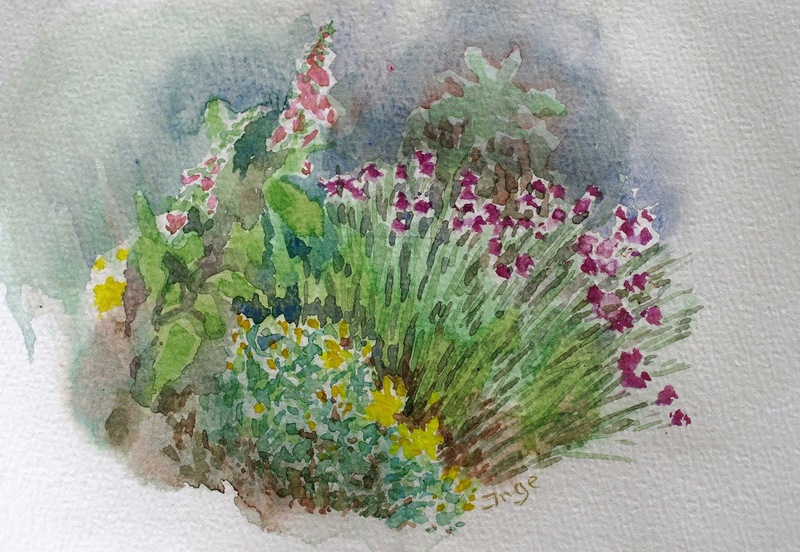 In fact: I stayed in my own garden. There is always something to paint or draw there. Even in bad weather: looking through the window (I don't know if that is real 'plein air'...). 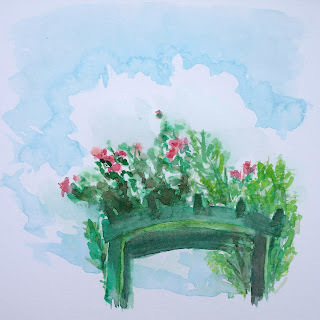 Sitting in a lounge chair in the garden I looked up and painted the blue sky with white cloud, above my garden gate with red roses. 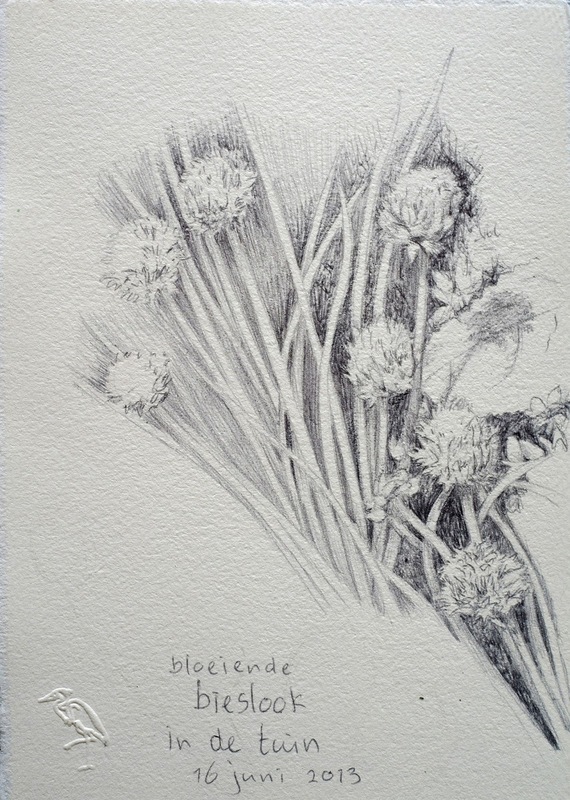 When the chives were in full bloom I couldn't use them anymore for salads, but they were very nice for a drawing and a painting. 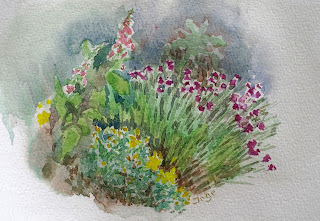 This was the garden in front of the house, In the back there is another one. 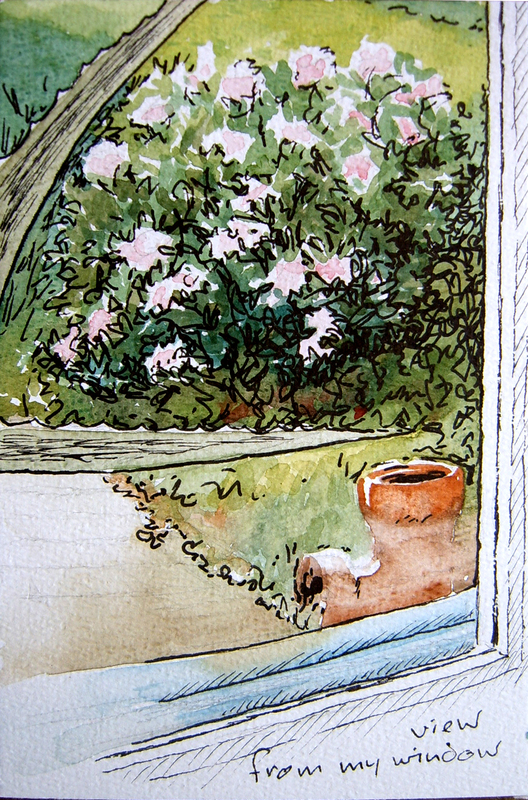 I can do a view through the window too, in this case the kitchen window. 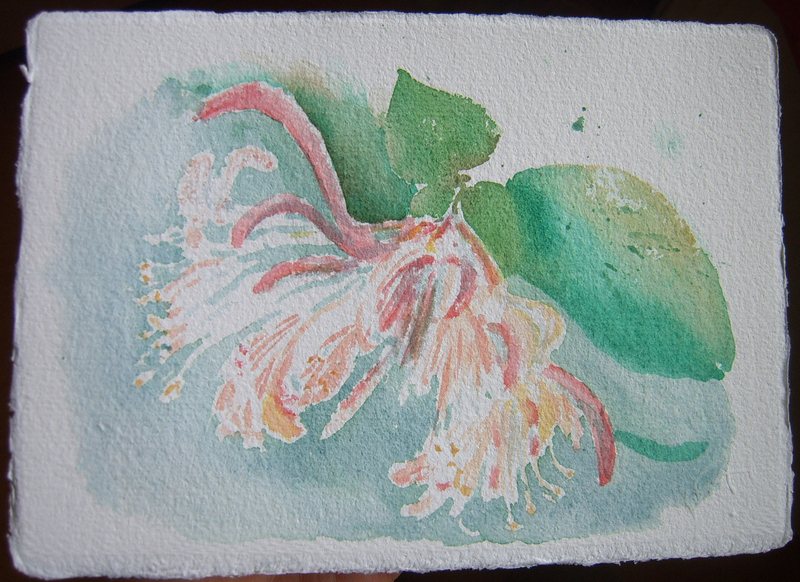 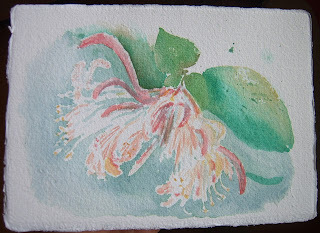 I cut some branches from the honeysuckle growing over the gate and made this painting of one of the blooms.